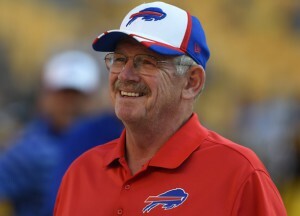 CHC Congratulates Our Good Friend Bud Carpenter, Head Athletic Trainer for the Buffalo Bills on his Recent Induction into the Greater Buffalo Sports Hall of Fame! Bud Carpenter not only does his professional job everyday with great skill, expertise, and professionalism, he also goes above and beyond giving back to his community in multiple ways. At CHC, Bud, his wife Kathy, and daughter Sarah have served dinner at our Annual Family Holiday Party for many years. Although Bud is very well known in the Western New York Community, he is a genuine humble servant that cares deeply, works hard often behind the scenes, and gives truly from his heart. We are very honored, blessed, and proud to know Bud and his family through the years. He is a great friend of CHC and we CONGRATULATE Bud on all his life successes!